The world is witnessing a rapid rise in the number of victims of human trafficking and of migrants—voluntary and involuntary, internal and international, authorized and unauthorized. In the first two decades of this century alone, more than 65 million people have been forced to escape home into the unknown. The slow-motion disintegration of failing states with feeble institutions, war and terror, demographic imbalances, unchecked climate change, and cataclysmic environmental disruptions have contributed to the catastrophic migrations that are placing millions of human beings at grave risk. 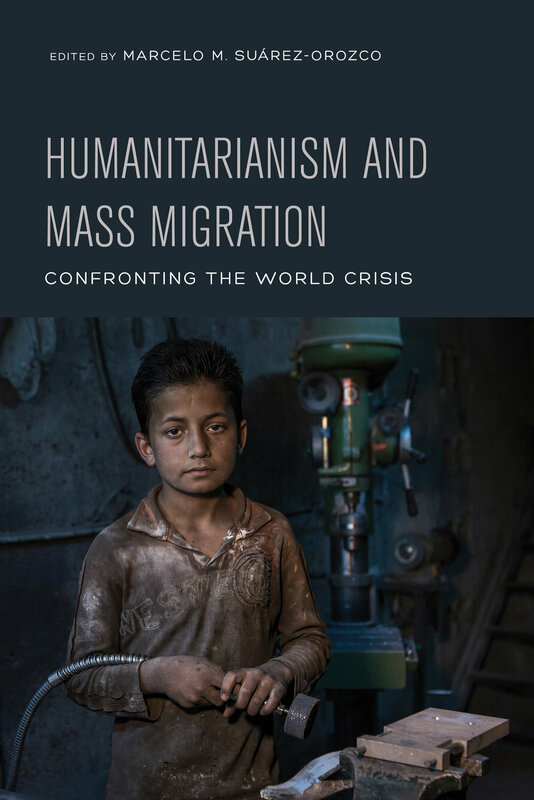 Humanitarianism and Mass Migration fills a scholarly gap by examining the uncharted contours of mass migration. Exceptionally curated, it contains contributions from Jacqueline Bhabha, Richard Mollica, Irina Bokova, Pedro Noguera, Hirokazu Yoshikawa, James A. Banks, Mary Waters, and many others. The volume’s interdisciplinary and comparative approach showcases new research that reveals how current structures of health, mental health, and education are anachronistic and out of touch with the new cartographies of mass migrations. Envisioning a hopeful and realistic future, this book provides clear and concrete recommendations for what must be done to mine the inherent agency, cultural resources, resilience, and capacity for self-healing that will help forcefully displaced populations. Marcelo M. Suárez-Orozco is the Wasserman Dean and Distinguished Professor of Education at the UCLA Graduate School of Education and Information Studies. His previous edited volumes include Latinos: Remaking America; Writing Immigration: Scholars and Journalists in Dialogue; Learning in the Global Era: International Perspectives on Globalization and Education; and Globalization: Culture and Education in the New Millennium. 12. Refugees in Education: What Can Science Education Contribute?